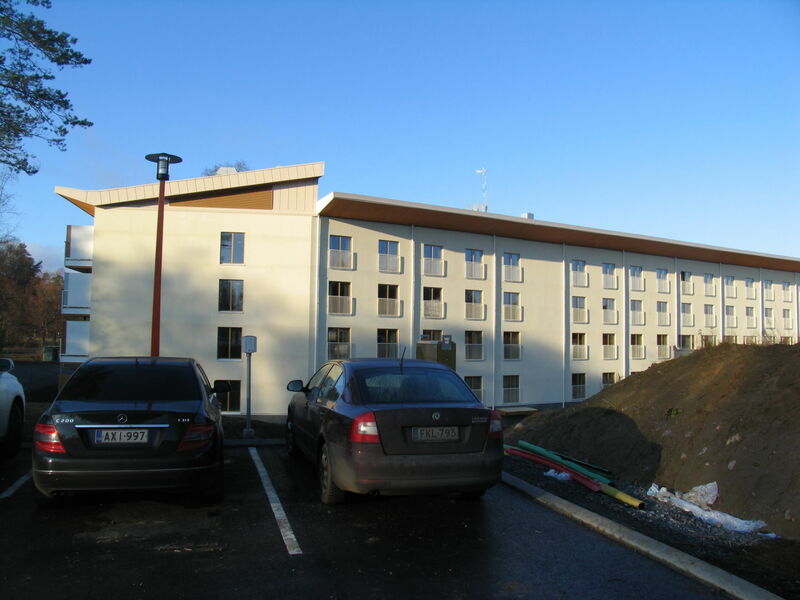 Peikko delivered 400 pcs of Deltabeams, 490 pcs of Composite Columns and other steel structures to the spa hotel construction. 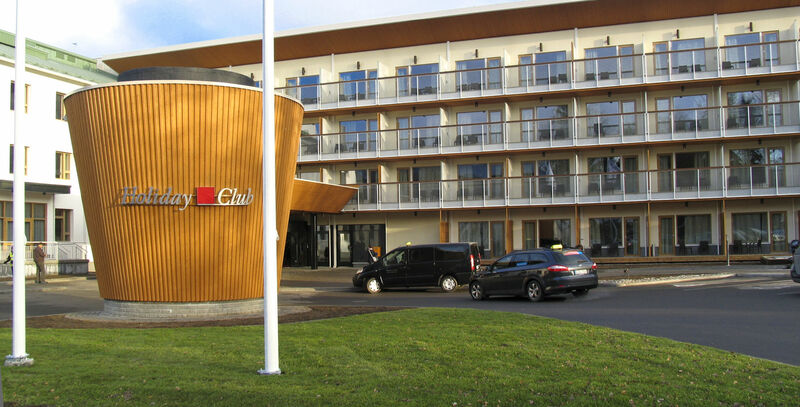 The structural frame supplied by Peikko for the spa hotel and arena was one of the project’s largest subcontracts. A total of 400 Deltabeams, 489 composite columns, trusses, and other steelwork were delivered to the site according to a tight schedule. 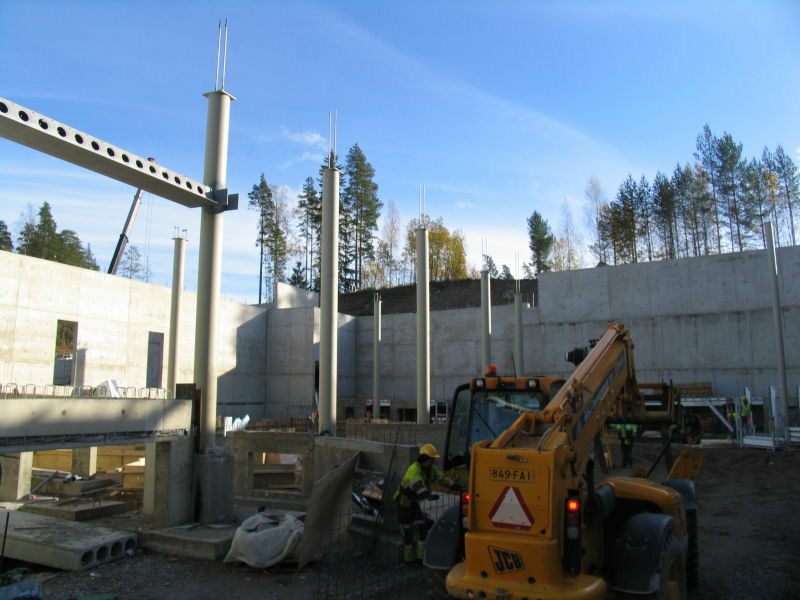 “Peikko deliveries began in June 2010 and the last trusses were installed in spring 2011. 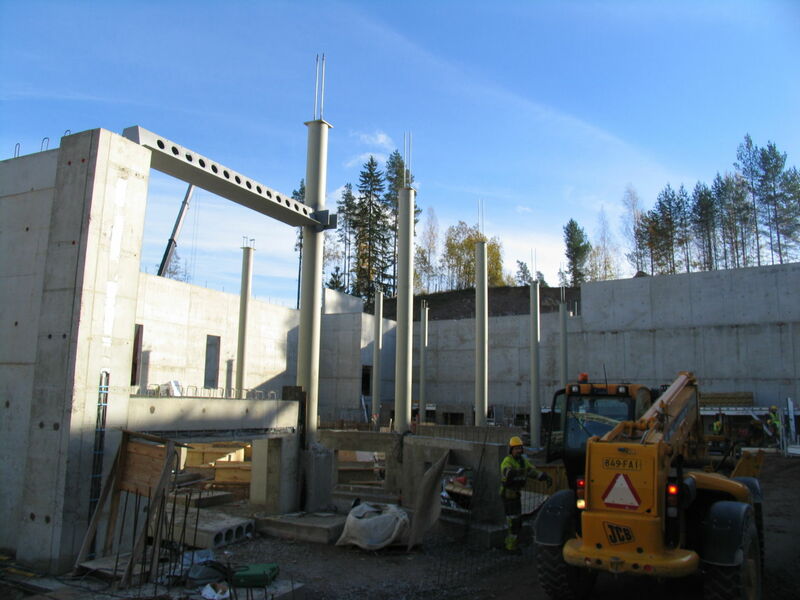 We definitely got a major timetable benefit from selecting a steel frame for all the project’s structures,” says SRV’s Site Manager Martti Kutila. Innovations and design “Peikko is a good example of an innovative company when it comes to developing its products,” says Veli Siikonen. “Their surface treatment technology is in a different league from what was available just a couple of decades ago.” This surface treatment expertise has been put to good use in the project. The spa hotel’s composite columns, for example, are both hot-dip galvanized and painted, which will ensure that structures exposed to contact with air with a very high moisture content will have a long life. A similar composite structure based on a steel-reinforced core surrounded by a steel shell has also been used in the columns of the arena. 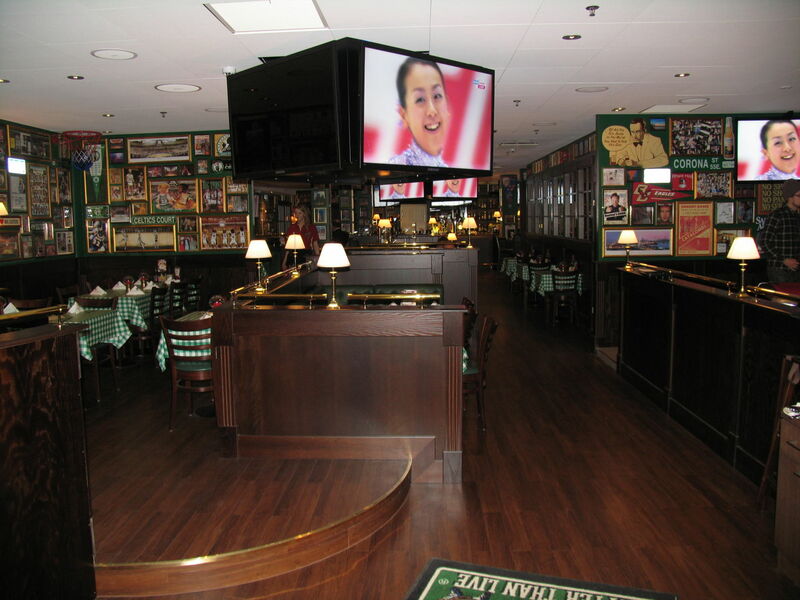 The exposed steel of the arena’s upper areas have been protected with fire-resistant paint to provide enhanced safety during ice hockey events, for example. 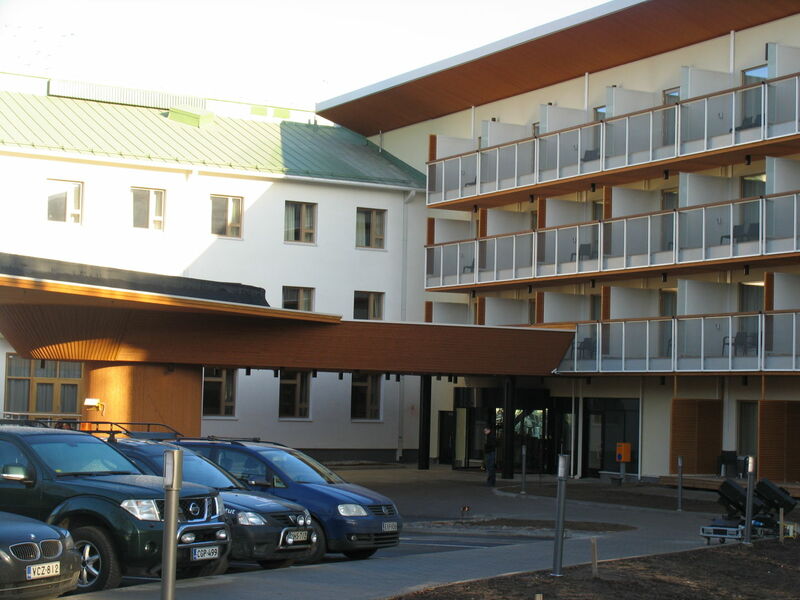 Pöyry Civil Oy handled the bulk of the structural design, with the exception of the spa’s structural frame, which was designed by the Peikko Group. “Having the supplier also being responsible for the design is not always easy for a project, but in this case Peikko did a good job,” says Martti Kutila. 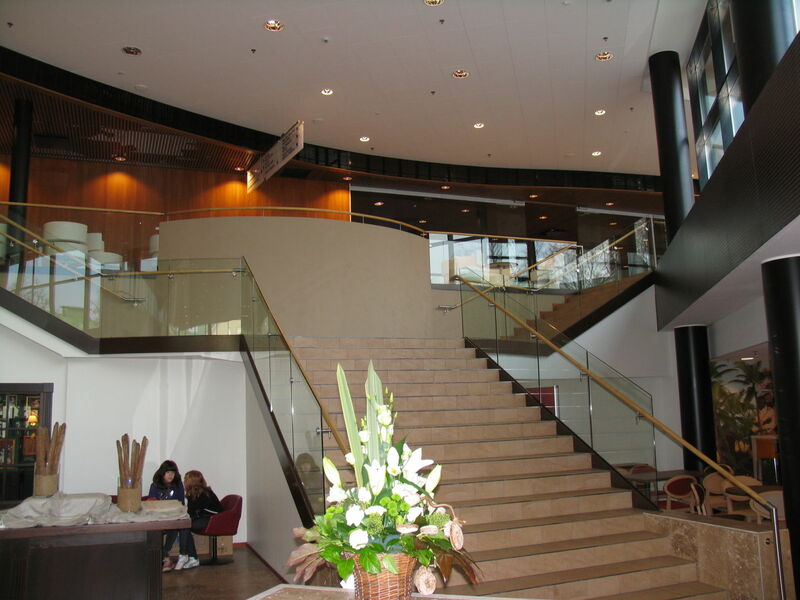 Special challenges While the design of the arena at Holiday Club Saimaa is nothing out of the ordinary, that of the spa hotel is something else, particularly because of its complicated geometry. 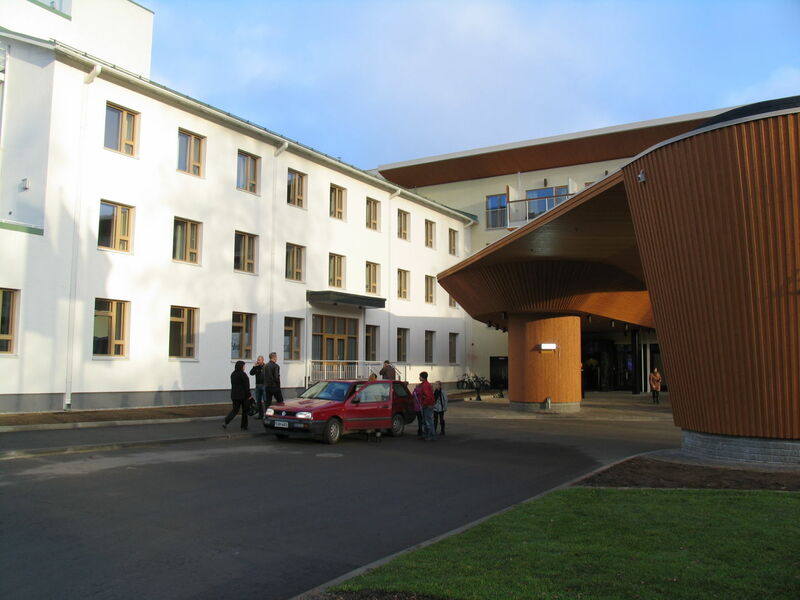 “The size of the spa building also brought its own challenges,” says Esko Jussila of Pöyry Civil, who was responsible for the project’s structural engineering. 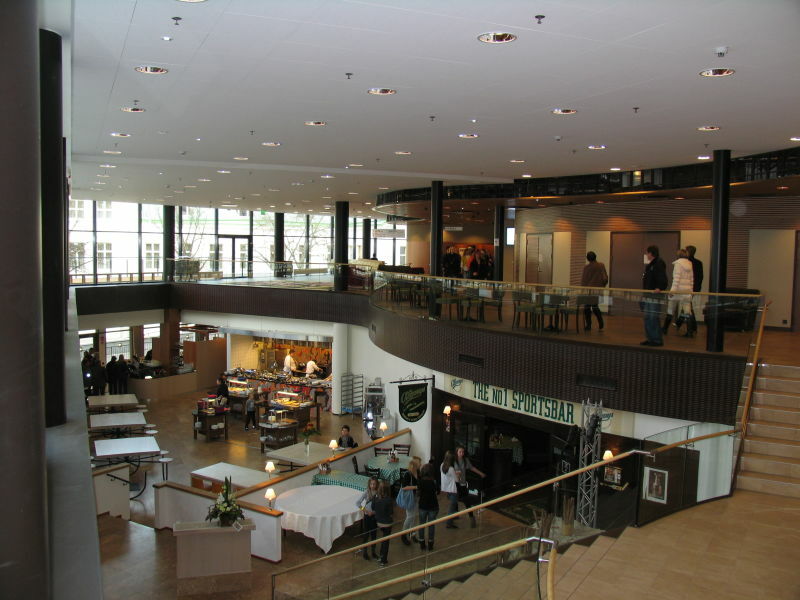 “It made sense to divide the building into sections using expansion joints, but using solid concrete walls or steel lattice work was not an attractive option. 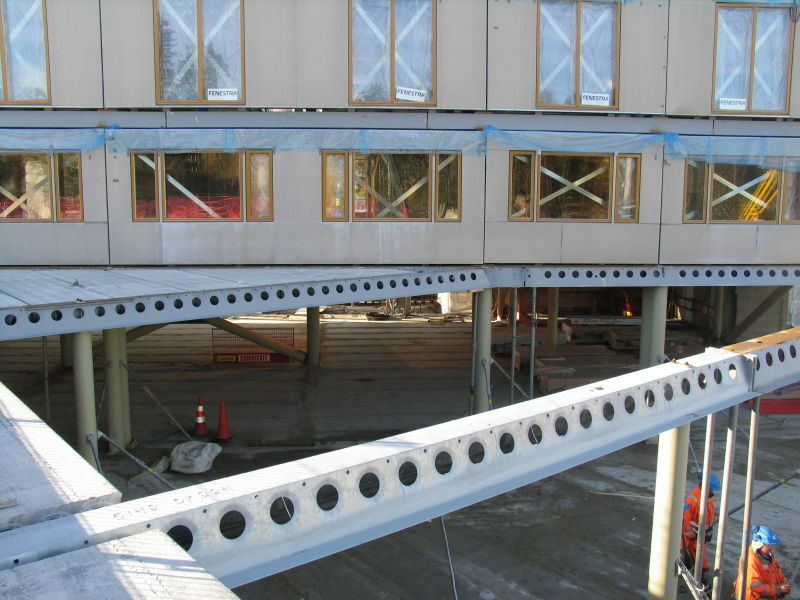 Composite columns running the entire height of the structure offered an excellent solution.” The geometric complexity of the structure meant that welded joints rather than standard bolted joints were used for some of the joints. “This was definitely the way to go when we needed to connect the Deltabeams with the composite columns, for example,” says Martti Kutila. 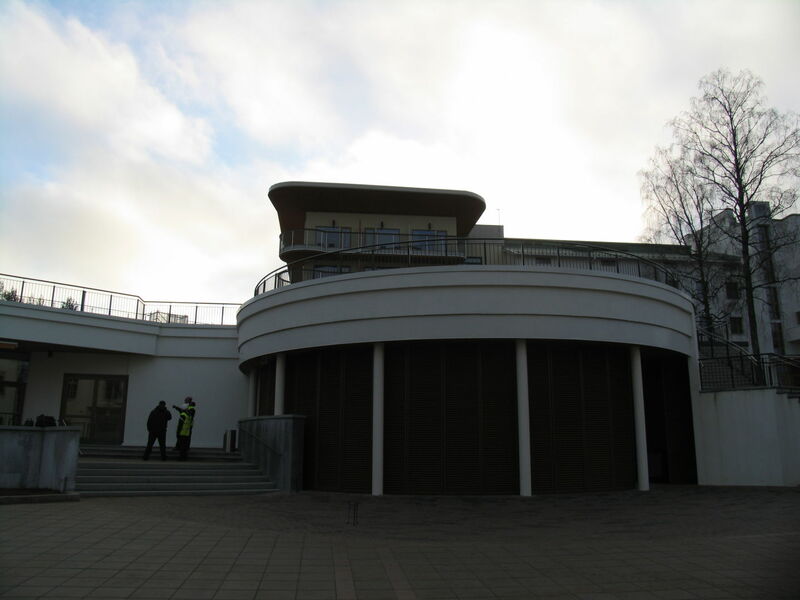 The wide variations in height in the structure of the spa also required a lot of detailed work, both in terms of design and on site. “It was very important to avoid any dimensional errors. 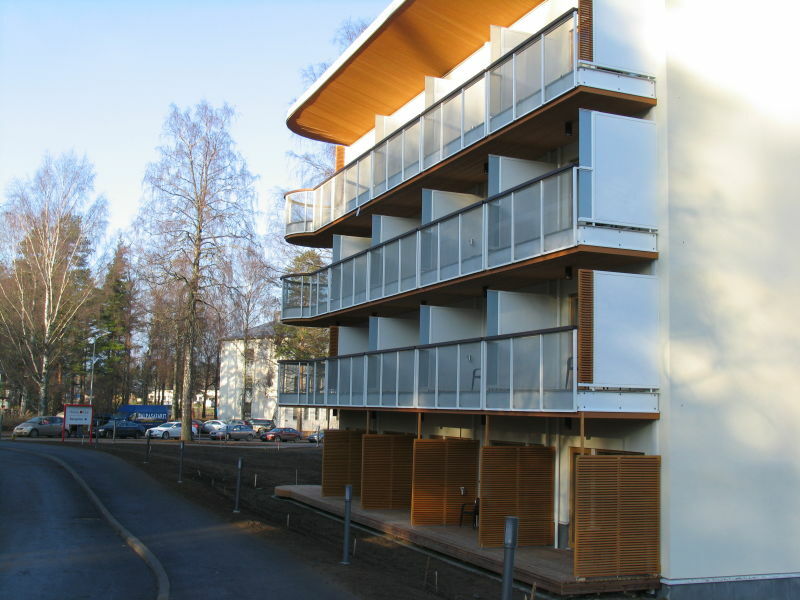 Thanks to good cooperation between all those involved, we were able to avoid these problems during the design process, which is quite an achievement for a building of this complexity,” says Esko Jussila. Similar success was achieved on site, where all the structural steelwork was completed on time – and the entire site was completed in October in good time for the official opening scheduled for November.